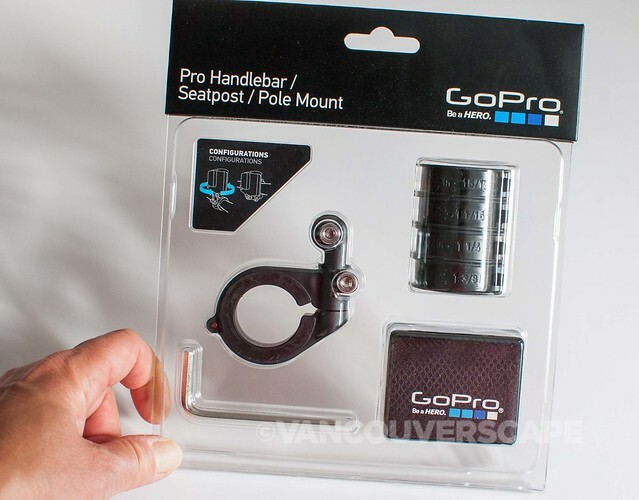 GoPro’s redesigned Pro Handlebar/Seatpost/Pole Mount is constructed from compact aluminum and is designed for cyclists and water sports lovers alike. The mount contains a rotational platform to capture more angles and perspectives than any other bar-mounting option currently on the market. 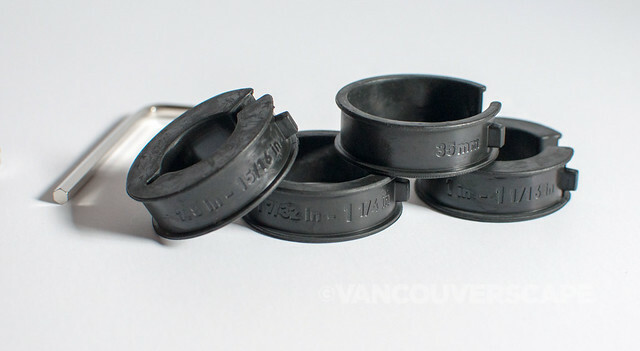 It can also attach to paddles, poles, or another other cylinder ranging from 22.2 to 35mm in diameter. Out of the box, you get the mount, a 4mm hex key, five rubber inserts, installation guide plus a handy little drawstring travel bag. Attaching the mount’s pretty basic. 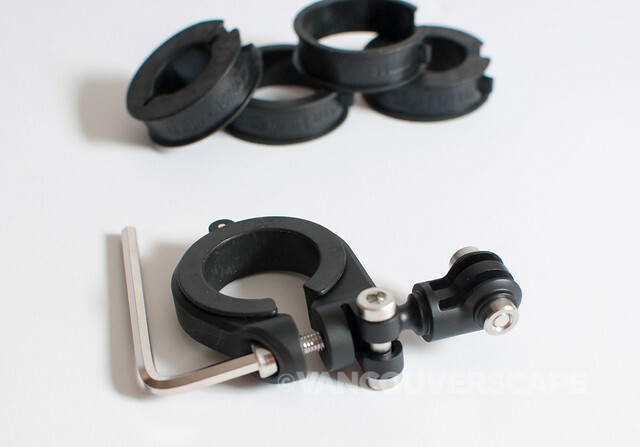 Use the hex key to open the mount, attach a rubber insert that fits the diameter of the handlebar or pole (it’ll need to tighten so there’s no movement), mount the clamp to your gear. The final step is attaching the GoPro and positioning the camera’s desired tilt (it’ll go a full 360 degrees), then tightening the screw. 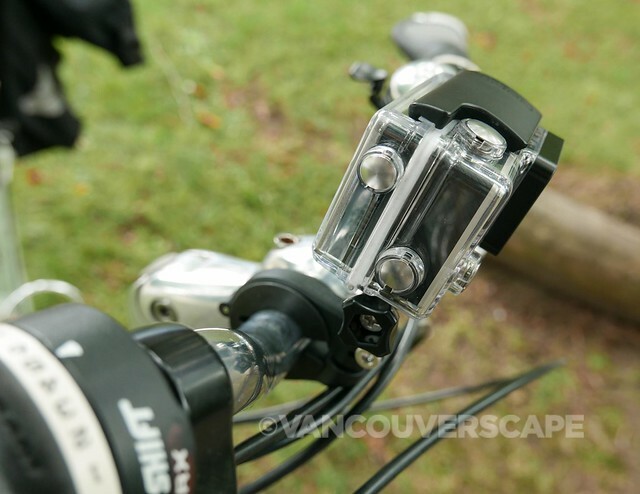 A great feature of this mount is the option of using a GoPro thumb screw in place of the default hex screw, making adjustments possible without whipping out that hex key every time. I set out towards the Vancouver Folk Festival over the weekend, starting off this edit with a bumpy ride down a pothole-filled side street (opening scene). I then casually cycled along Point Grey Road towards Vancouver’s Jericho Beach, site of the festival. Once on site, I positioned the mount to capture some of the atmosphere inside, including the event’s folk bazaar. I was after as many perspectives as possible, and on the way home along the bike path, I tilted the camera down a bit to get a front tire perspective. The final scene’s a quick front-facing time-lapse. 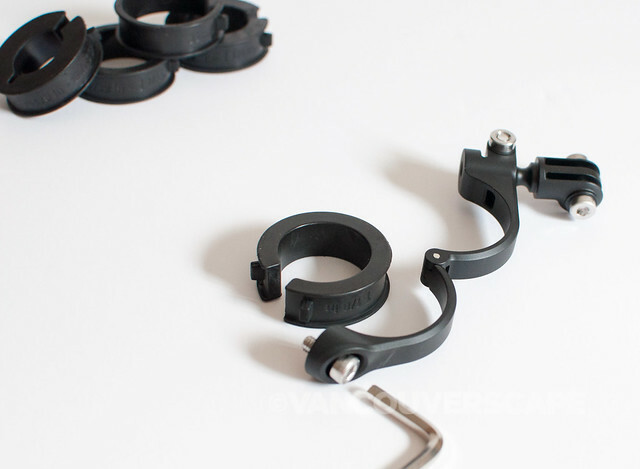 Although this mount will also attach to your bike’s seatpost, my bike has a rear rack so attaching it there hinders the view, making the seatpost option best suited for road bikes. We used my husband’s road bike to do a few time lapses with side and rear view. One thing we noticed about attaching it to the rear of the seat: his leg constantly rubs against the camera case (not too comfortable!). 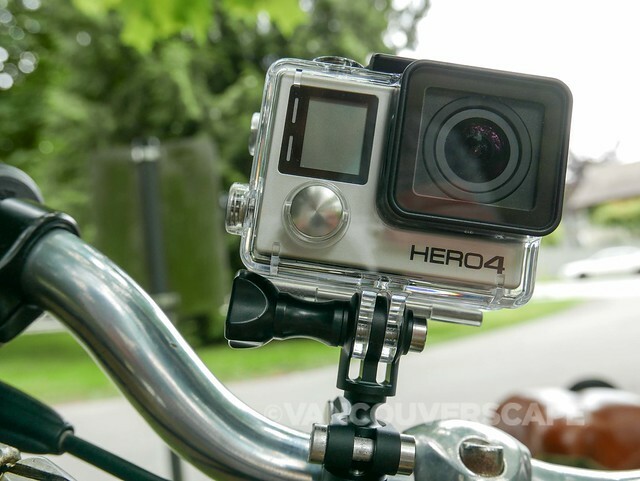 Perhaps the rear mount works better with the cube-shaped GoPro Session that’s used in the company’s short video promoting the mount. Side view is also hard to achieve because of the same problem. 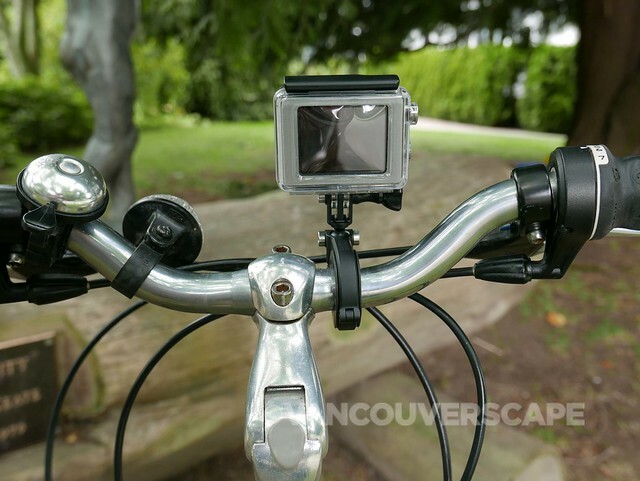 We focused this second video on a ride around the seawall followed by biking over Burrard Bridge. There’s also a (slightly) longer time-lapse at the end. Having the mount in front made it easy to tilt the camera up towards the sky while going under the bridge, then tilt it back to straight-ahead view for the rest of our ride. 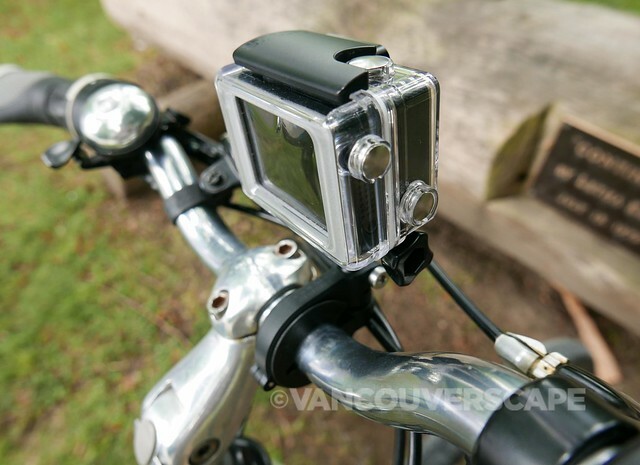 On the plus side, this mount produces the least amount of shakiness compared to videos I’ve recorded on my bike using helmet and chest mounts. I also like that it’s a lot more subtle than a helmet mount! When mounted on the handlebar, it’s easy access the whole way. 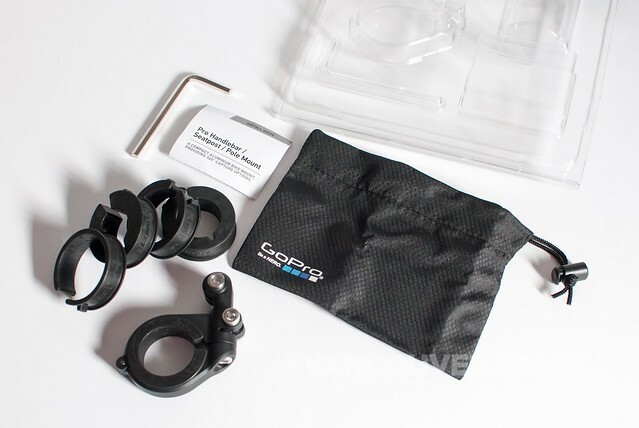 The Pro Handlebar/Seatpost/Pole Mount retails for US $59.99. 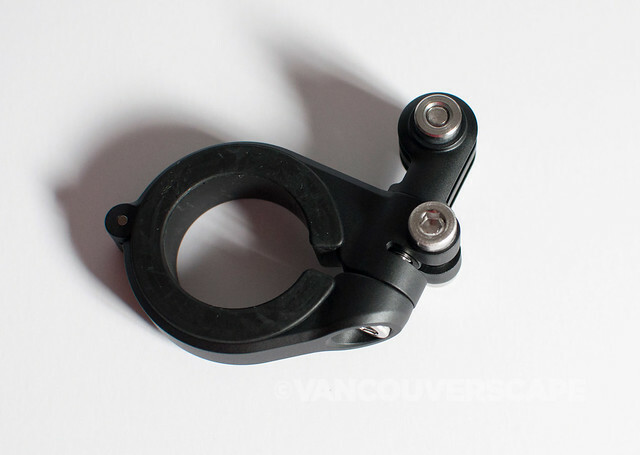 Another new mount in the lineup, the rear-shooting Pro Seat Rail Mount, sells for US $39.99. Shipping to Canada is handled via FedEx International Economy (three to six days, $14.99).